This is a poster series I designed during my internship at WhiteSpace Creative (located in Akron, Ohio). 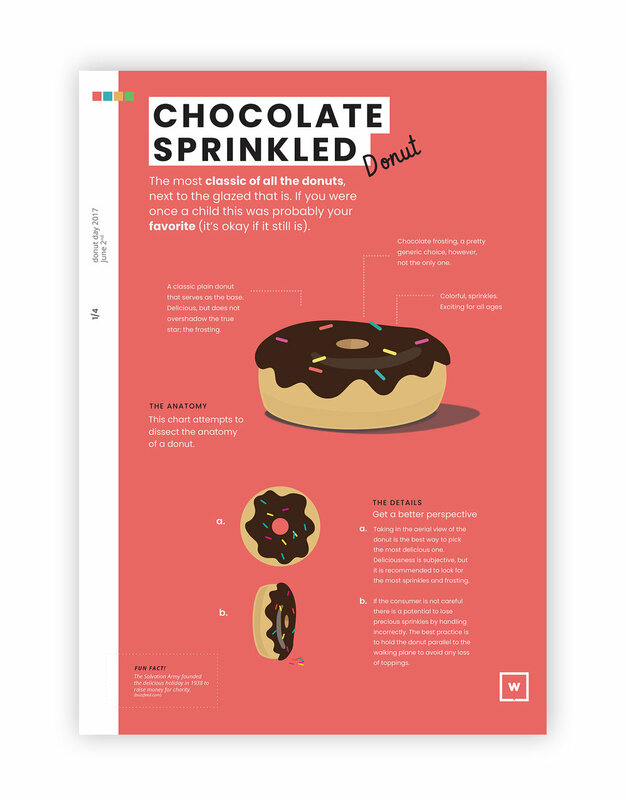 WhiteSpace wanted to internally advertise for National Donut Day. 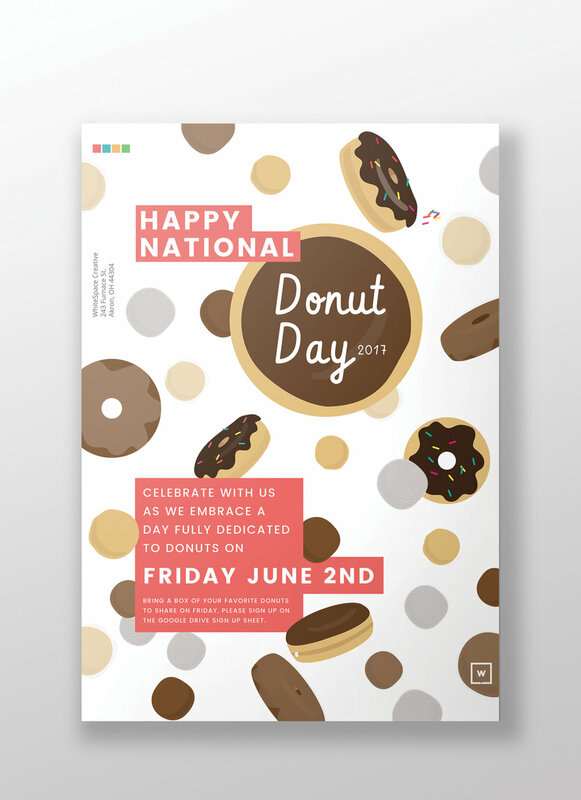 The goal of this project was to get everyone aware and excited for Donut Day 2017, so I thought a series of colored posters would do the job. 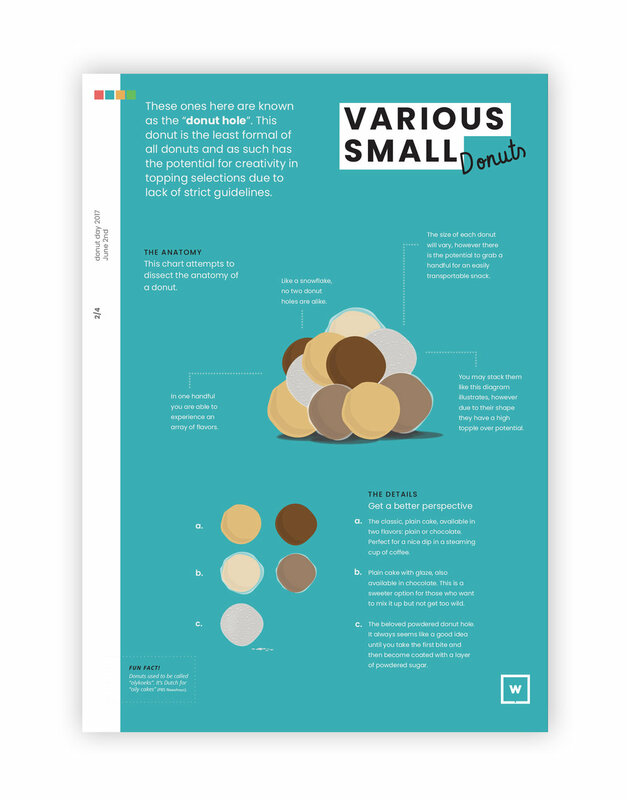 I was given free creative reign on this assignment, so I chose to illustrate all the donuts myself (all created within Adobe Illustrator), I picked bright, bold colors, and wrote all of the copy myself. Below is an obnoxiously large carousel of each poster to appreciate all of the small details.